In 2018, revisions were made to a groundbreaking 2015 Maryland law that permits divorce without the traditional year-long separation under certain circumstances. These recent revisions have expanded the original law and made mutual consent divorce accessible to a larger swath of prospective divorcees. Here, family law attorney Andrew Radding of Adelberg Rudow discusses mutual consent divorce and recent changes to mutual consent divorce laws. What Were the Original Mutual Consent Divorce Laws? both parties needed to appear at the uncontested divorce hearing. 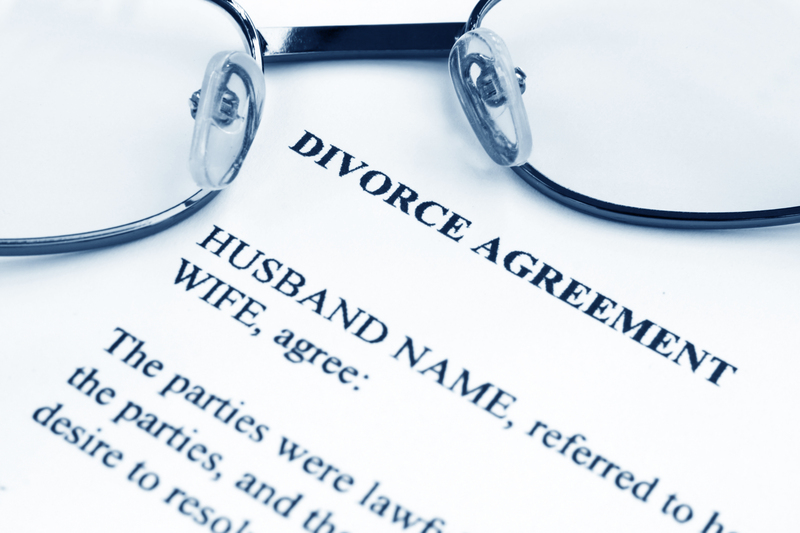 A marital settlement agreement is a legally binding document that stipulates the terms of the divorce, including alimony and property division. Besides the marital settlement agreement, a Form CC-DR-020 must also be filed. If all of the above criteria were met by the couple, they could bypass the standard year-long separation and get a divorce in a quicker manner. How Have These Laws Now Changed? As mentioned above, the 2015 passage of this law did not allow mutual consent divorces for families with minor children. This meant that couples with minor children must be separated for a minimum period of one year—this included maintaining separate homes and finances. Effective as of October 1st, 2018, couples with minor children are now eligible for mutual consent divorce, so long as they meet all other original stipulations for a mutual consent divorce. Couples with minor children must sign a marital settlement agreement that includes provisions for the care, custody, access and support of minor or dependent children. A completed child support guidelines worksheet must also be submitted to the court, which the court will review in order to ensure that the terms of the agreement are in the best interest of the children. If the court finds that the terms of the marital settlement agreement are not in the best interest of the children, the agreement will have to be redrafted and submitted for a secondary review. Should I Consult an Attorney if I am Seeking to Initiate a Mutual Consent Divorce? While the essence of a mutual consent divorce is that both parties agree to the terms of the divorce as stipulated by the marital settlement agreement, it is always in an individual’s best interest to have an attorney review any legally binding agreement prior to signing it. This is particularly true for couples with a large number of assets, individuals whose spouse has retained a lawyer and more. This not only protects your interests, but also the interests of your children, if you share any with your spouse. A family law attorney, such as Andrew Radding of Adelberg Rudow, can help you draft and review a marital settlement agreement in order to help you receive a mutual consent divorce in an equitable and efficient manner. To learn more about how a family law attorney can assist you in filing for a mutual consent divorce or drafting and reviewing a marital settlement agreement, contact Adelberg Rudow today. The Adelberg Rudow website and all content within is designed to provide to the public information of a general nature and is not intended to offer legal advice about specific problems or issues. The information contained in this article is not intended to create any attorney-client relationship, nor does it constitute legal advice to any person reviewing such information.